O'Reilly Executive Leadership is committed to directing O'Reilly Automotive, Inc. in achieving dominance in all of its market areas through conscientious adherence to the highest standard of business practices, with the focus of maximizing shareholder value. David O'Reilly, Chairman of the Board, has been with the company full time since 1972, after working summers and part time for several years prior. David has worked in almost all capacities within the company. His years of experience and expertise in the company's operations and strategic business development started when he was Vice President from 1975 to 1993. From there he was President from 1993 to 1999, Chief Executive Officer from 1993 to 2005, and Co-Chairman of the Board from 1999 to 2005. He has served as Chairman of the Board since February 2005. Greg Henslee, Executive Vice Chairman of the Board, has been an O'Reilly Team Member since 1984. Greg's O'Reilly career began as a Parts Specialist in a store and progressed through the roles of Assistant Store Manager, District Manager, Computer Operations Manager, Director of Computer Operations and Loss Prevention, Vice President of Store Operations, Senior Vice President, President of Merchandise, Distribution, Information Systems and Loss Prevention, Chief Executive Officer and Co-President, President and Chief Executive Officer, and Chief Executive Officer. Greg has held the position of Executive Vice Chairman of the Board since 2018. Greg Johnson, Chief Executive Officer and Co-President, has been an O'Reilly Team Member since 2001 when the company purchased Mid-State Automotive. Greg's career in the automotive industry began in 1982. Greg's primary areas of responsibility are Merchandise, Logistics, Purchasing, Inventory Management, Pricing, Advertising, Information Technology, Risk Management, Loss Prevention, Human Resources, and Finance. Greg's career began as a part-time distribution center team member and progressed through the roles of Retail Systems Manager, Warehouse Management Systems Development Manager, Director of Distribution, Vice President of Distribution Operations, Senior Vice President of Distribution Operations, Executive Vice President of Supply Chain, and Co-President. Greg has held the position of Chief Executive Officer and Co-President since 2018. Jeff Shaw, Chief Operating Officer and Co-President, has been an O'Reilly Team Member since 1988. Jeff's primary areas of responsibility are Store Operations, Sales, Distribution Operations, Real Estate, Jobber Sales, and Acquisitions. Jeff's O'Reilly career began as a Parts Specialist and progressed through the roles of Store Manager, District Manager, Regional Manager, Vice President of the Southern Division, Vice President of Sales and Operations, Senior Vice President of Sales and Operations, Executive Vice President of Store Operations and Sales, and Co-President. Jeff has held the position of Chief Operating Officer and Co-President since 2018. Tom McFall, Executive Vice President and Chief Financial Officer, has been an O'Reilly Team Member since 2006. 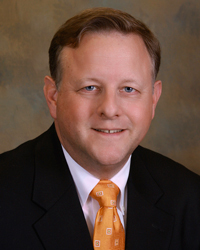 Tom's primary areas of responsibility are Finance, Accounting, Information Systems, Risk Management, and Legal. Tom's career began with Ernst & Young LLP in Detroit, Michigan, where he achieved the position of Audit Manager, before accepting a position with Murray's Discount Auto Stores. Tom served Murray's for eight years as Controller, Vice President of Finance, and Chief Financial Officer, with direct responsibility for Finance, Accounting, Distribution and Logistics Operations, and after Murray's was acquired by CSK Auto Corporation, he held the position of Chief Financial Officer - Midwest Operation for CSK. Tom joined O'Reilly as Senior Vice President and Chief Financial Officer. He has held the position of Chief Financial Officer since 2006 and Executive Vice President since 2007. Brad Beckham, Executive Vice President of Store Operations and Sales, has been an O'Reilly Team Member since 1996. Brad's primary areas of responsibility are Store Operations and Sales. Brad's O'Reilly career began as a Parts Specialist and progressed through the roles of Store Manager, District Manager, Region Manager, Divisional Vice President, Vice President of Eastern Store Operations and Sales, and Senior Vice President of Central Store Operations and Sales. Brad has held the position of Executive Vice President of Store Operations and Sales since 2018. Jonathan Andrews, Senior Vice President of Human Resources and Training, has been an O'Reilly Team Member since 2012. Jonathan's primary areas of responsibility are Human Resources, Training, Team Member Relations/Leave of Absence, Benefits, Compliance, and Payroll. Jonathan's O'Reilly career began as the Vice President of Human Resources, and he assumed responsibility for the Training Department in 2014. Before joining O’Reilly, he was the Senior Director of Human Resources at AutoNation in Atlanta, GA. Jonathan has held the position of Senior Vice President of Human Resources and Training since 2019. Doug Bragg, Senior Vice President of Central Store Operations and Sales, has been an O'Reilly Team Member since 1990. Doug's primary areas of responsibility are Store Operations and Sales for O'Reilly's Central Operations. Doug's O'Reilly career began as a Loader/Stocker in the Springfield, MO, Distribution Center and progressed through the roles of Store Manager, District Manager, Region Manager, and Divisional Vice President. Doug has held the position of Senior Vice President of Central Store Operations and Sales since 2018. Robert Dumas, Senior Vice President of Eastern Store Operations and Sales, has been an O'Reilly Team Member since 2001 when the company purchased Mid-State. Robert's primary areas of responsibility are Store Operations and Sales for O'Reilly's Eastern Operations. Robert's career started as a parts specialist and progressed to assistant store manager, installer service specialist, night manager, associate manager, store manager, district manager, regional manager, and divisional vice president. Robert has held the position of Senior Vice President of Eastern Store Operations and Sales since 2016. Larry Ellis, Senior Vice President of Distribution Operations, has been an O'Reilly Team Member since 2008 when the company purchased CSK Auto Corporation. Larry began his career on the shipping docks with Fleenor's Auto in Indiana. At O'Reilly, Larry's primary areas of responsibility are Distribution Operations and Logistics. Larry's career began as a distribution center team member and progressed through the roles of Distribution Center Supervisor, Distribution Center Manager, Director of Distribution Operations, Vice President of Logistics, Senior Vice President of Distribution and Logistics with CSK, Vice President of Western Division Distribution Operations, and Vice President of Distribution Operations with O'Reilly. Larry has held the position of Senior Vice President of Distribution Operations since 2014. Jeremy Fletcher, Senior Vice President of Finance and Controller, has been an O'Reilly Team Member since 2005. Jeremy's primary areas of responsibility include all of the Company's Accounting, SEC reporting, Tax, Investor Relations, Financial Planning and Analysis, and Credit. Jeremy's O'Reilly career began as the Financial Reporting and Budgeting Manager and progressed through the roles of Director of Finance, and Vice President of Finance and Controller. Prior to joining O'Reilly, Mr. Fletcher worked as a Certified Public Accountant with a public accounting firm and in a financial reporting and planning role for a Fortune 1000 corporation. Jeremy has held the position of Senior Vice President of Finance and Controller since 2017. Jeffrey Groves, Senior Vice President of Legal and General Counsel, has been an O'Reilly Team Member since 2005. Jeffrey's primary areas of responsibility are Corporate Governance, Regulatory Matters, Internal Audit, Uninsured Litigation, Labor and Employment, and Real Estate and Intellectual Property. Jeffrey's O'Reilly career began as Director of Legal and Claim Services and progressed through the roles of Director of Legal and Claim Services and General Counsel, and Vice President of Legal and Claim Services and General Counsel. Prior to joining O'Reilly, Jeffrey worked in a private civil defense trial practice. Jeffrey has held the position of Senior Vice President of Legal and General Counsel since 2016. Brent Kirby, Senior Vice President of Omnichannel, has been an O'Reilly Team Member since 2018. Brent is responsible for leading our Marketing, Advertising, and Digital business areas while working cross functionally to deliver our Omnichannel strategy. In addition, he leads the Electronic Catalog and Customer Satisfaction teams. Prior to O'Reilly, Brent worked for Lowe's Companies, Inc., for 31 years starting as a part-time hardware associate and progressing through senior leadership roles in store operations, installed sales, professional sales, contact centers, e-commerce, and supply chain. Most recently he served as their Chief Supply Chain Officer. Brent has held the position of Senior Vice President of Omnichannel since 2018. Scott Kraus, Senior Vice President of Real Estate and Expansion, has been an O'Reilly Team Member since 1999. Scott's primary areas of responsibility are Real Estate Expansion and Acquisitions. 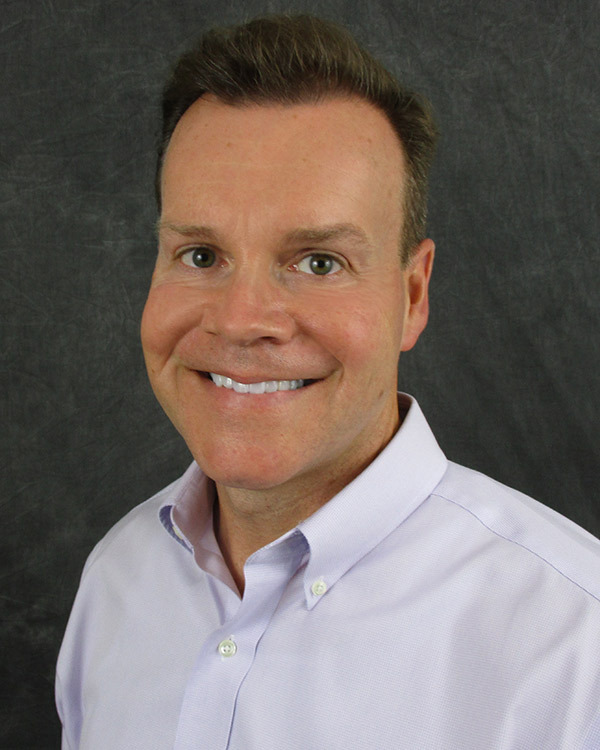 Scott's O'Reilly career began as a Parts Specialist and progressed through the roles of Store Manager, District Manager, Regional Field Sales Manager, Regional Manager, Divisional Vice President, and Vice President of Real Estate. Scott has held the position of Senior Vice President of Real Estate and Expansion since 2016. Jeff Lauro, Senior Vice President of Information Technology, has been an O'Reilly Team Member since 2015 and has held his position as Senior Vice President of Information Technology since that time. Jeff's primary area of responsibility is Information Technology. Prior to joining O'Reilly, Jeff held the position of Chief Information Officer for Payless ShoeSource, with direct responsibility for Solution Delivery, Infrastructure and Operations, and Enterprise Architecture. Prior to joining Payless, Jeff was the Vice President, Global Information Technology Service Delivery Director for The TJX Companies, Inc., with direct responsibility for Global Information Technology Service Management, Operations, Implementation and Disaster Recovery. 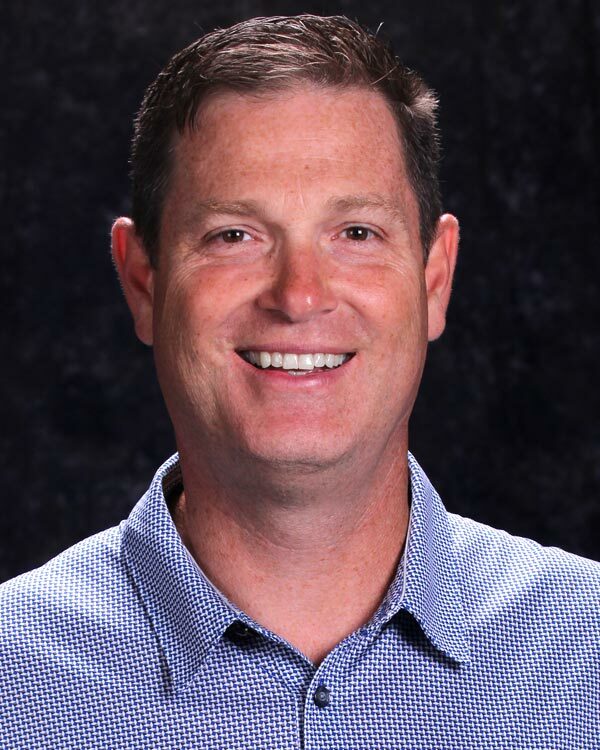 Jason Tarrant, Senior Vice President of Western Store Operations and Sales, has been an O'Reilly Team Member since 2008 when the company purchased CSK Auto. 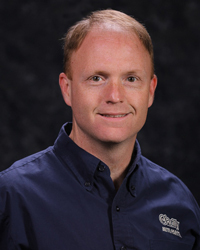 Jason's primary areas of responsibility are Store Operations and Sales for O'Reilly's Western Operations. Jason's career began as a District Manager and progressed through the roles of Regional Field Sales Manager, Region Manager, and Divisional Vice President. Jason has held the position of Senior Vice President of Western Store Operations and Sales since 2018. Darin Venosdel, Senior Vice President of Inventory Management, has been an O'Reilly Team Member since 1997. Darin's primary areas of responsibility are Inventory Control, Purchasing, and Store Design. Darin's O'Reilly career began in Information Technology and progressed through the roles of Director of Application Development, Director of Inventory Management, and Vice President of Inventory Management. Darin has held the position of Senior Vice President of Inventory Management since 2014. David Wilbanks, Senior Vice President of Merchandise, has been an O'Reilly Team Member since 2012. David's primary areas of responsibility are Merchandise and Pricing. David has been in the auto parts industry since 1989. Prior to O'Reilly, David worked at AutoZone for 13 years in a variety of Merchandise roles, most recently as Director of Merchandise. He began his O'Reilly career as Vice President of Merchandise for hard parts. David has held the position of Senior Vice President of Merchandise since 2016.